Hebei Anmeng Wire Co., Ltd.
Austenitic stainless steels which contain chromium and nickel. Provide excellent corrosion resistance and beneficial work hardening characteristics. With the advantage of native land of wire our company is adopting the excellent stainless steel wire with rod, so we are able to offer nail wire with maximum headability without any reduction in the corrosion resistance properties. 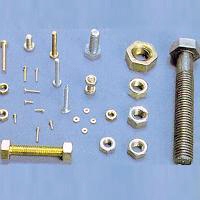 We can offer various ranges of tensile strength according to the requirements.